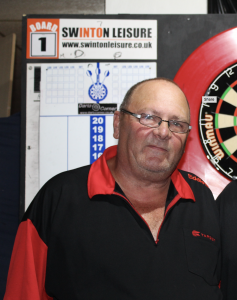 Durham’s Eddie Mordica will be live on stage tomorrow afternoon competing in the Winmau World Masters 2018 last 32 in Bridlington. En route to making the last 32, Mordica beat top American player, Larry Butler 3-2 taking a 170 finish out in the process. In the board final he defeated ex PDC Premier League Player, ‘The Warrior’, Wes Newton 3-2 to set up tomorrow’s contest. Eddie will be on stage at 4pm and faces dutchman, Wesley Harms. Also, Teesside’s Durrant faces Yorkshire’s John Walton and Northumberland’s Gary Robson faces the Dutchman, Wouter Vaes. This entry was posted in Competition Winners, Important Info. Bookmark the permalink.